The truth is: We are busier and our to-do lists are longer. And the result is a constant nagging chatter in the back of our minds: Something is missing; our desires, wishes, great ideas and our needs are not being attended to. It leaves us feeling anxious and unproductive. It keeps us from recognizing all that we are doing and accomplishing. What is the busy executive to do? Believe it or not, it is not all the information and the growing to-do list that leads to overwhelm. By beginning to see things for what they are, (a long list of things of varying importance), you can get control, become more productive and feel on purpose. It is not a matter of doing less, but defining the things that are most important to you, prioritizing what you value, and taking action when necessary. Keeping a journal and writing down your thoughts and ideas is one of the most powerful tools any successful executive has. Keeping a journal gets those great ideas, the long list of to-dos, your wishes and desires out of the back of your head. But many executives don’t journal because it feels like a waste of time. They already feel they don’t have enough time, but what they don’t realize is journaling saves time. 1. Ditch the keyboard and break out the pen and paper. Our brains are programmed to respond to the process of handwriting. An article posted in the Wall Street Journal suggests that writing by hand increases memory and activates massive regions involved in thinking, language and working memory—the system for temporarily storing and managing information. Take the extra time to activate your creativity and write things down by hand. Writing on paper doesn’t work for you anymore, thanks to our need to be paperless? No worries. There are some cool products out there, like the Bamboo portfolio, that lets you seamlessly go from writing and drawing on your paper to your digital file. 2. Begin or end your day by writing down a few things you are most grateful for. There are now numerous research studies which have found gratitude to be an essential component of happiness and success. In fact an article in San Francisco Business Times stated that UC Berkeley just recently invested 3.1 million dollars into their gratitude research program. Sound like something you should invest a few minutes each day into? I think so. Studies show that writing down what you are grateful for increases optimism, improves exercise habits, increases the likelihood of helping another and supports the achievement of personal goals. Read how to do the What Went Well exercise in your journal, the activity developed by positive psychology and used by thousands in the military to develop resiliency. 3. Make it portable and carry your journal with you. Have you ever noticed how the greatest ideas come in the most inopportune situations? Like driving or in the shower? A new, waterproof notepad now makes it possible to write down your creative shower ideas! OK, so maybe it doesn’t need to be waterproof but make it portable and when you think of something unique or important, write it down so it doesn’t get lost in the corners of your brain. 4. Write down the significance of your daily action. By understanding why we are doing the things we do each day, we can begin to discover our own unique values and priorities. When learning how to journal you can start to create a task list in your journal. Also, create a section for why you are doing each item. Dig a little deeper and ask yourself why 3 more times after each answer you get. By defining the personal significance of any given task, it becomes much clearer as to which ones hold priority for you. 5. Write down your big dreams and goals! Keep a special section in your journal to write down what you want to create in the future. When you first start learning how to journal, you can start by thinking of something you want, somewhere you want to go, someone you want to do something for or any future-oriented action. Tend to this list by crossing off things you accomplish or things your don’t want anymore. Have fun and dream big! Want to Journal, but can’t get started? Beginning to journal is like building a new habit. It can be hard to get started. 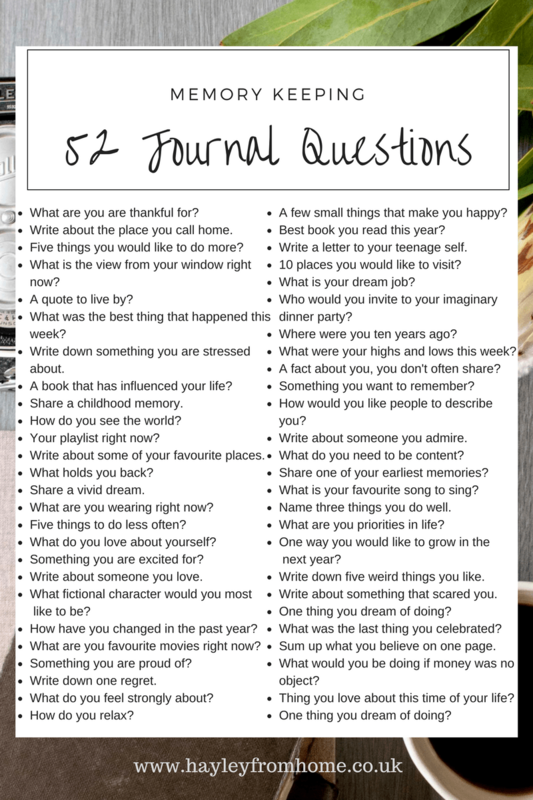 Here are 52 Journal Questions that will help you get started. Pick any one of these great questions and write. Let us know, do you keep a journal? If not, are you going to start? If so, what do you write in it? Leave a comment and tell us what works best for you. Thanks for reading! I hope you have a great day! Inspired to keep a Journal? Check out our “Food For Thought” Positivity Journal! P.S. Since everything is better shared, please share this blog link with your friends! I love the process of writing with pen and paper. It’s so much more satisfying than typing on a screen, it’s more tangible and enjoyable. Great tips, and I couldn’t agree more! @Calla Gold A lot of people do love journaling in a special book with a pen they love. Some writers swear by the process of writing long hand rather than on a computer. 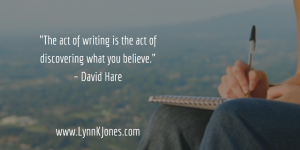 But whether you write or type, the most important thing is to keep writing! 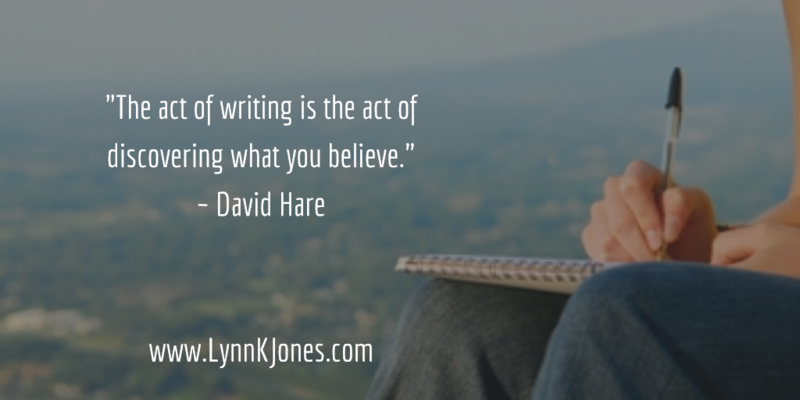 I love the idea of writing as well but sometimes (ok most of the time) the laziness takes over. So I write when I am completely obsessed over a though, loose the ability to think of something else and focus on my daily activities. I type instead of writing because it is more private for me. I write about the thing or event that I can’t stop thinking about. Then I read, re-read, and decide to keep for a while or delete right away. The deletion of my journal helps me redirect myself to the important activities in the present moment. Also, before sleeping, I think about (not write) what made me happy today and what I plan on doing tomorrow to keep me satisfied. The set plan and goals reduce anxiety and stay in the moment instead of worrying about the “what will..”. So I enjoy the process of journaling in different ways. @Neha Duggal Those are both such great ways to use a journal, Neha! Keep it up! I completely agree with using pen and paper. I tried taking notes for classes on a laptop for a semester and it did not work out as well. I ended up writing my notes on paper to study anyways. I can’t say I’ll be an active journal writer starting tomorrow, but I’ll be sure to try to journal for success. Thanks Dr. Jones! GabePerez Excellent, Gabe! Let us know how you make out.